William Shakespeare—playwright, poet… ruthless tax evader? So says a new research paper to be presented next month by academics Dr Jayne Archer, Professor Richard Marggraf Turley and Professor Howard Thomas of Aberystwyth University, Wales. These three have exposed the Bard for offenses he committed more than four hundred years ago—those of hoarding grain during a food shortage and evading taxes. For these crimes Shakespeare was fined in 1598 and threatened with jail time. Since the records clearly prove these facts to be true, it seems impossible that Will’s crimes could have been kept a secret for so long. As it turns out, though, these were never actually hidden from the academic community. Rather, it seems that scholars downplayed this information because they “cannot countenance the idea of a creative genius also being motivated by self-interest,” according to the Sunday Times. But in doing so, the Aberystwyth researchers argue, critics also ignore a large influence on Shakespeare’s work. Take the play Coriolanus, for instance, a fiercely political tragedy that finds conflict in the juxtaposition of rich and poor. Art imitates life so greatly that the plot actually centers around a famine exploited by the rich, who drive up the price of grain to be sold to the poor—precisely what Shakespeare himself partook in. Since it was written around 1607, the same time of the Warwickshire food riots (where Shakes owned a considerate amount of land), some now argue that Coriolanus came out of the playwright’s desire to assuage some of his guilt for hoarding grain and exploiting famine. While nobody can prove that for certain, at the end of the day we can walk away having learnt of a new side to Shakespeare’s persona, that of the “ruthless businessman who did all he could to avoid taxes, maximise profits at others’ expense, and exploit the vulnerable–while also writing plays about their plight to entertain them,” says Dr. Archer. “They ne’er cared for us yet: suffer us to famish, and their store-houses crammed with grain” (Coriolanus, Act I, scene i). King Lear is another work that features a similar focus, continues Archer, as “there is a very subtle depiction of how dividing up land also involves impacts on the distribution of food.” Examining his works in this new light, it seems clear that Shakespeare had more practical, earthly matters on the mind than we normally credit (or discredit) him with. In so far that it might actually affect the reading of his plays, was the scholarly community right to keep this information hushed for so long? 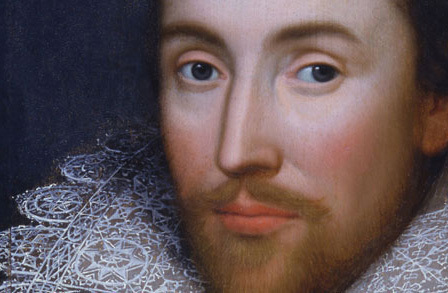 Does it change the way you think of William Shakespeare? I do not think the writer William Shakespeare was a tax evader, as there is evidence that cast doubt on its existence. Not a single portrait, not a single document ….. hire costs, etc. I liked your blog, I leave you my address, I said the news is but you enjoy it.